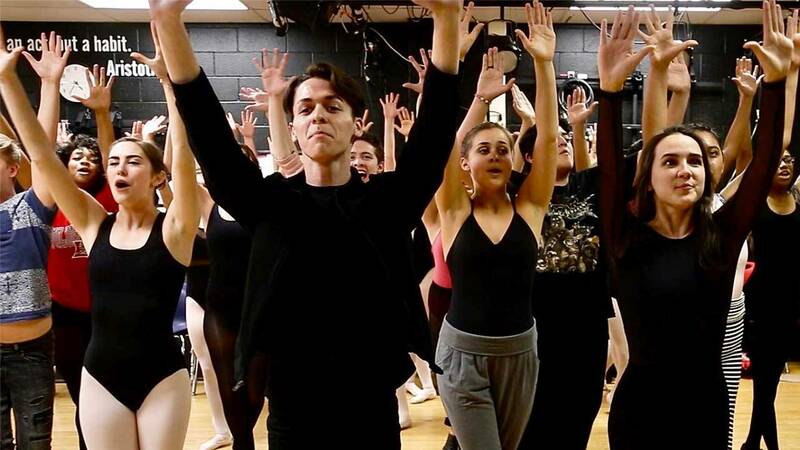 The North East School of the Arts (NESA) is celebrating their 20th anniversary in a dramatic way – with a production of Phantom of the Opera. ARTS takes you behind the curtains at the San Antonio magnet school dedicated to artistic expression and creativity. Since 1997, NESA at Robert E. Lee High School has provided gifted and talented students a unique curriculum integrated with multiple art disciplines such as cinema, creative writing, musical theatre, and more. The program allows NESA students to take a combination of core classes at Lee High School and NESA. Acceptance into NESA requires an extensive process, and enrollment is generally about 300 students, which provides them with a family-like environment. Judging from the Phantom of the Opera rehearsal, NESA’s talented family will give a chilling performance beyond the realm of a high school musical. With hours of rehearsal and practice, the students are involved in all aspects of the production. Crews (students in all majors) have been working on stage set, lighting, audio and visuals, among other details since the beginning of the semester. They work collaboratively to showcase each student’s talent, knowing that with new additions to the theatre, including a new entry hall, the performance is highly anticipated among the community. To kick off their 20th anniversary, an opening night gala with a special performance by NESA alums “Newgrass” group Sweet ‘Shine & Honey is scheduled for Nov. 3. and will be open to the public. This episode of ARTS airs Thursday, Oct. 27 at 8 p.m. on KLRN. Here is a web exclusive of NESA students performing "Masquerade" during rehearsal for Phantom of the Opera.